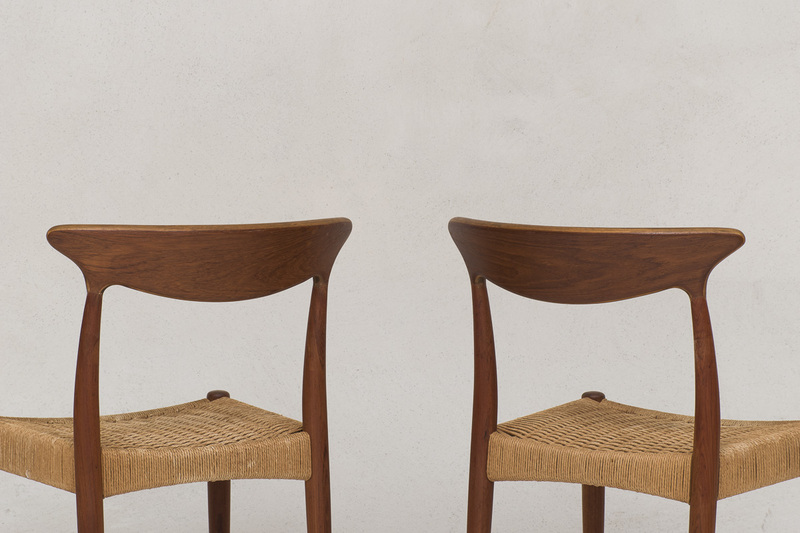 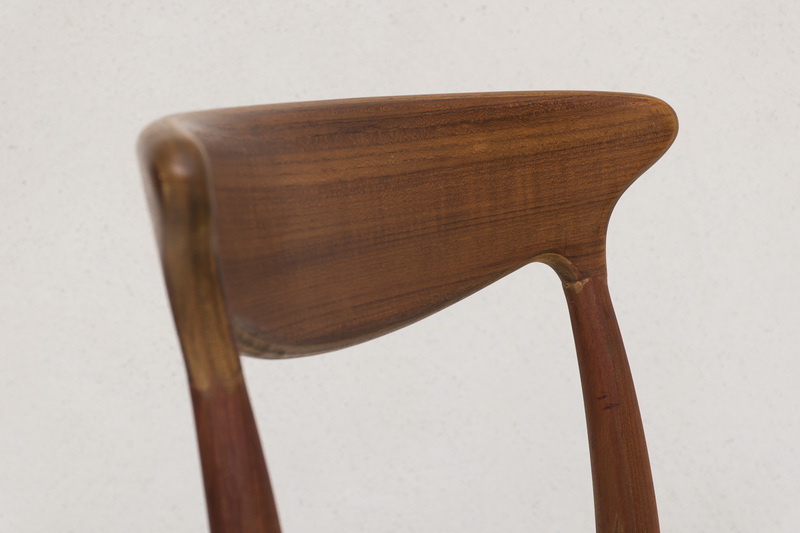 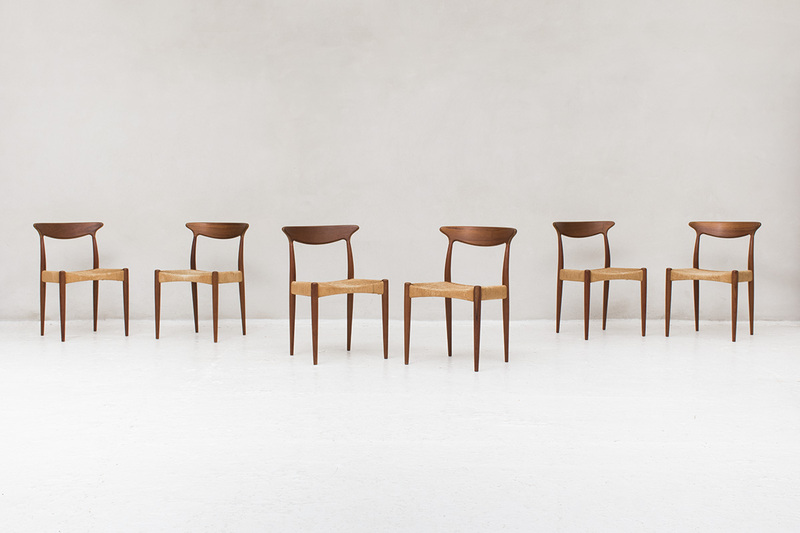 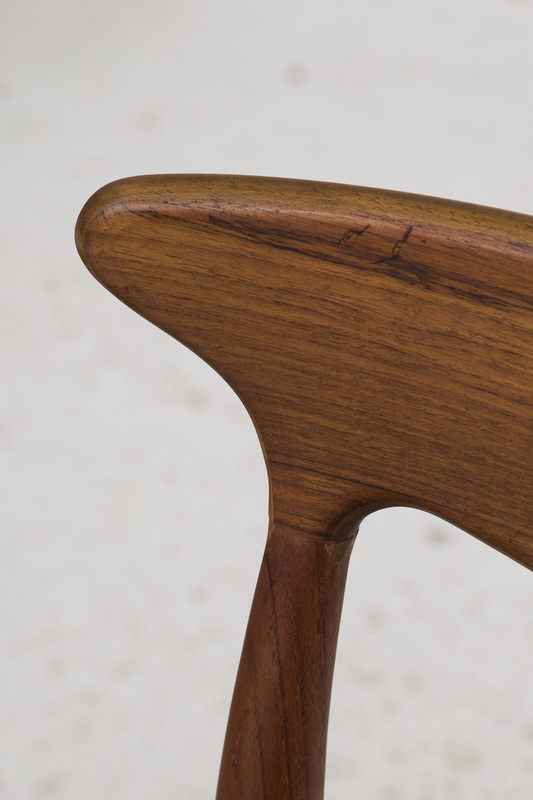 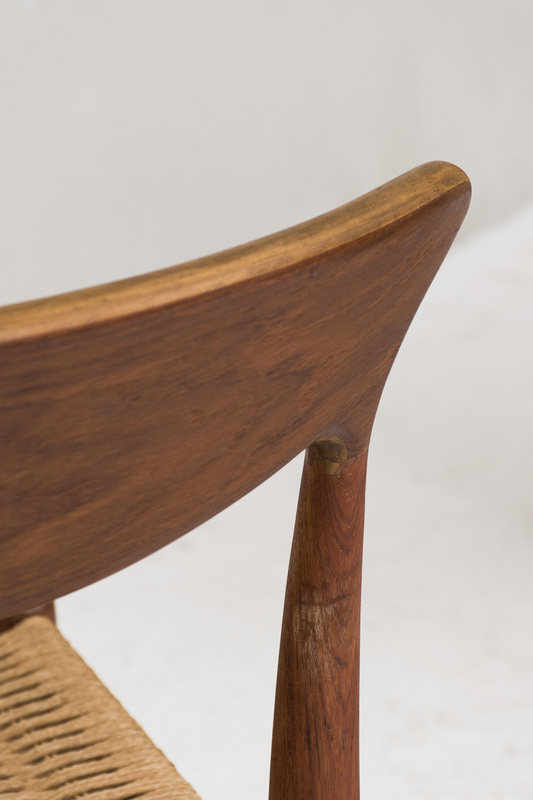 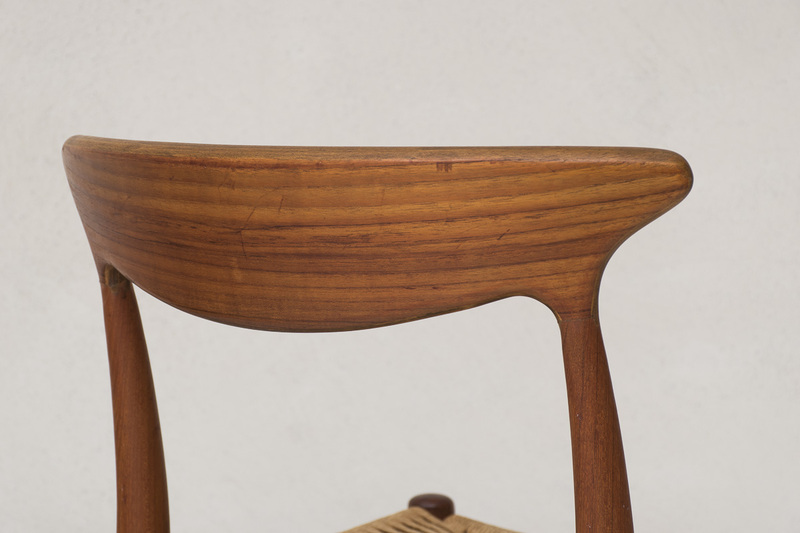 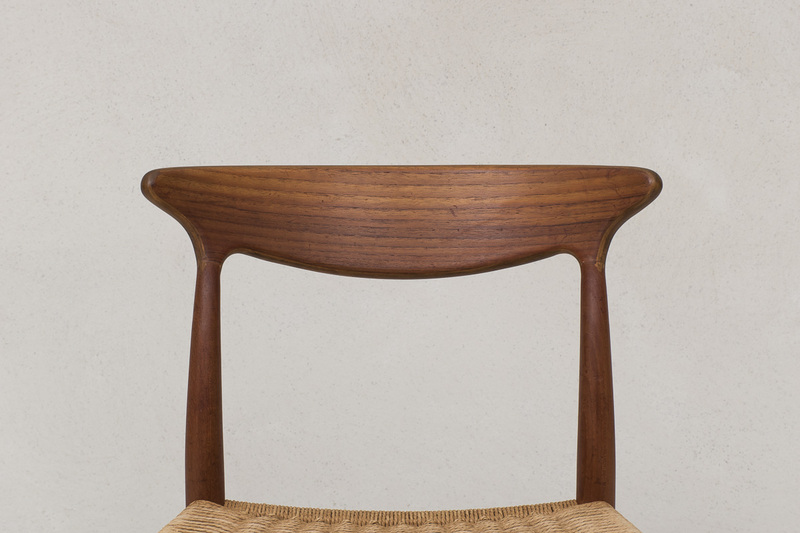 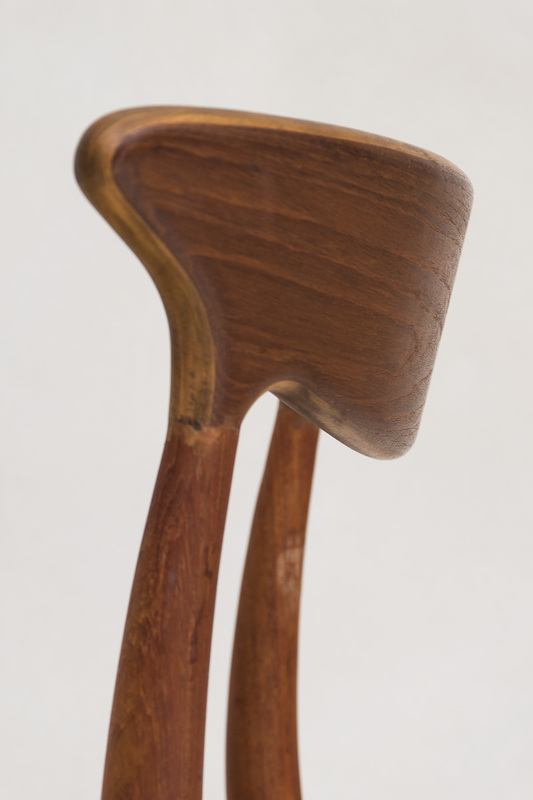 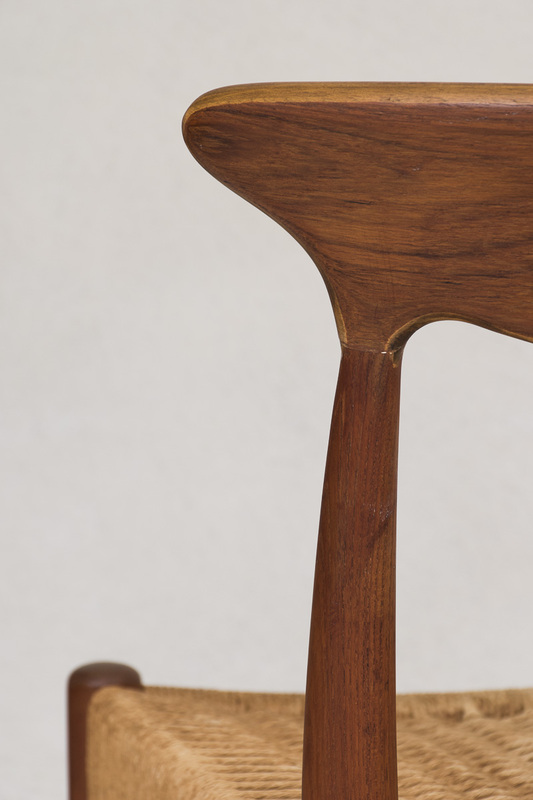 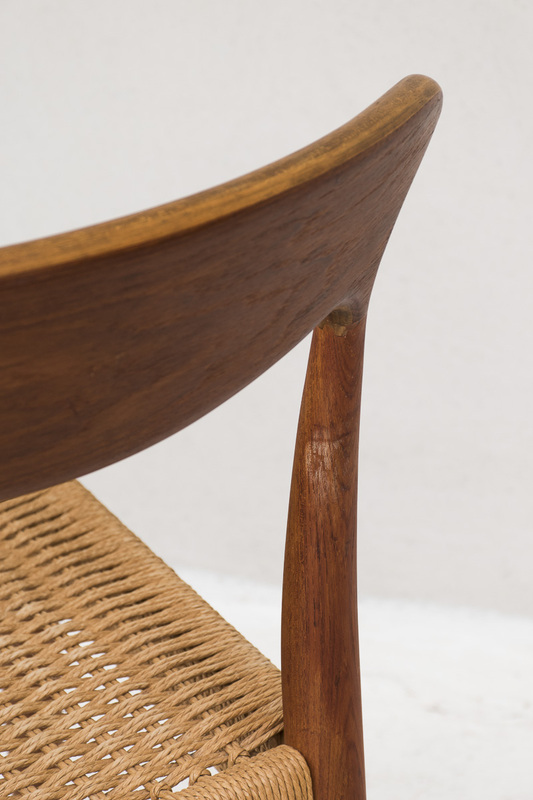 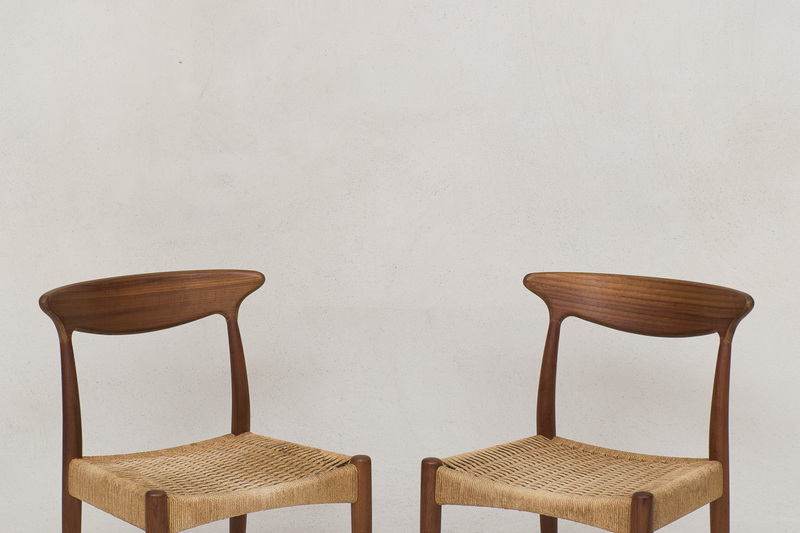 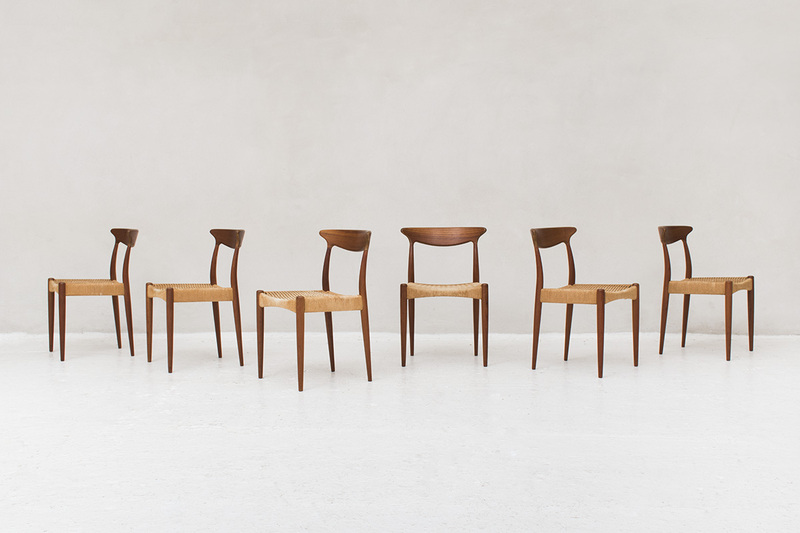 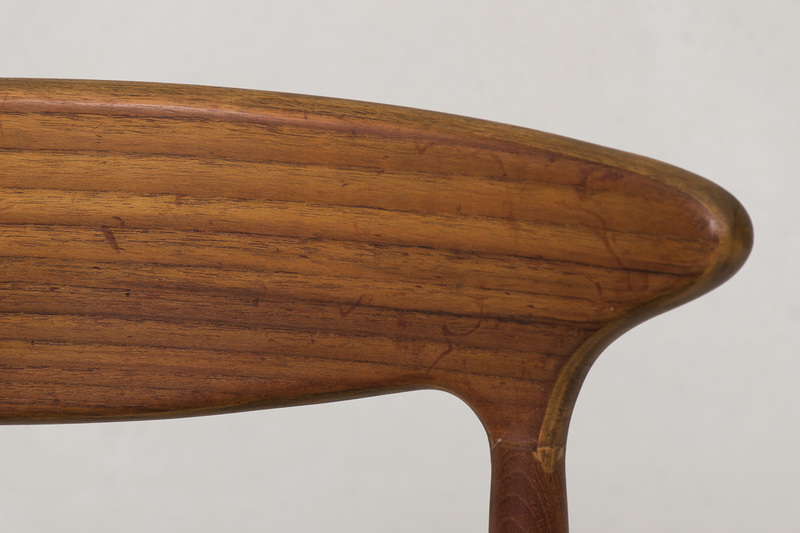 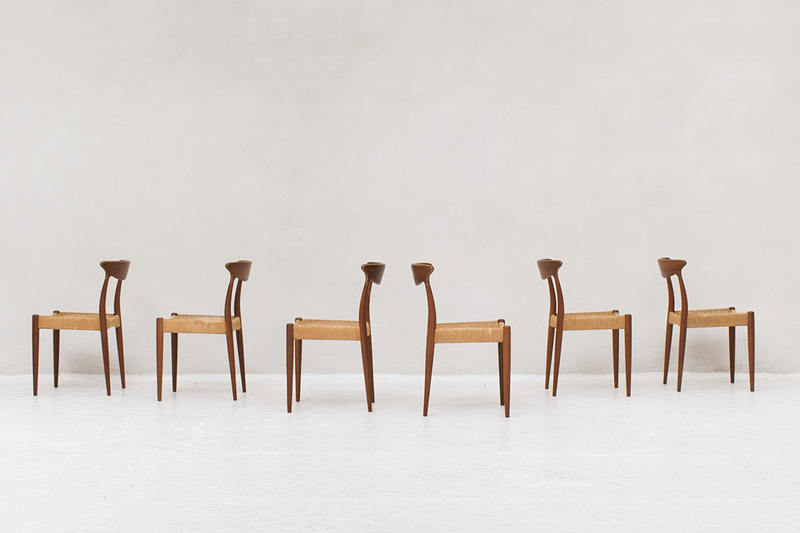 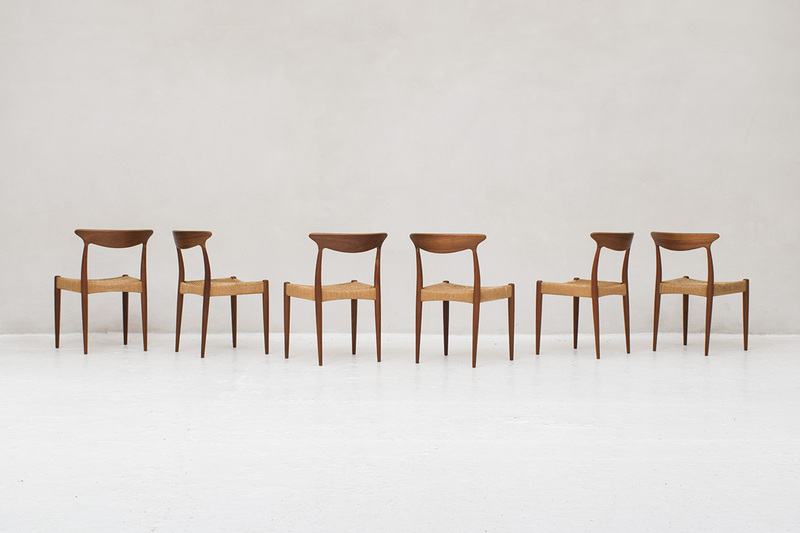 Set of 6 dining chairs by Arne Hovmand Olsen and produced by Mogens Kold in Denmark around 1960. 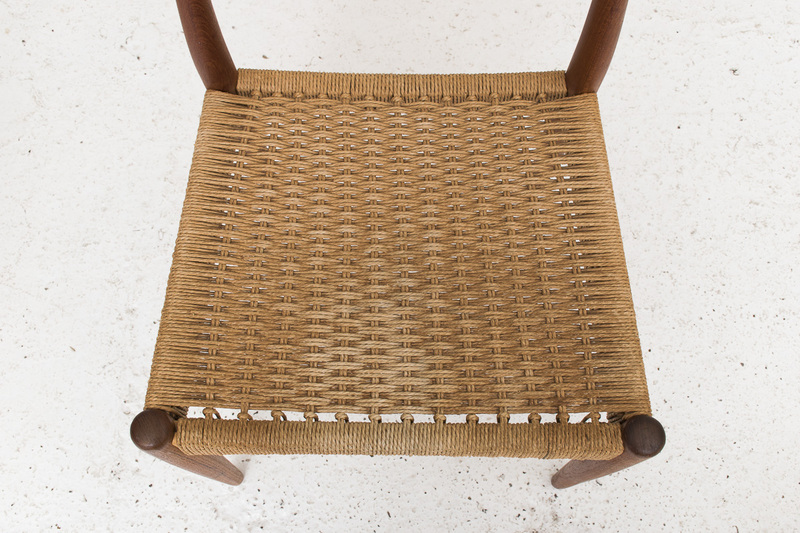 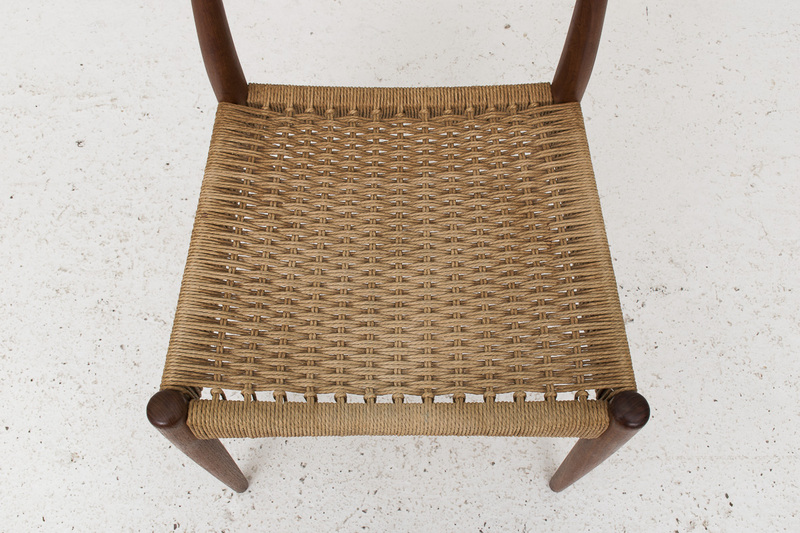 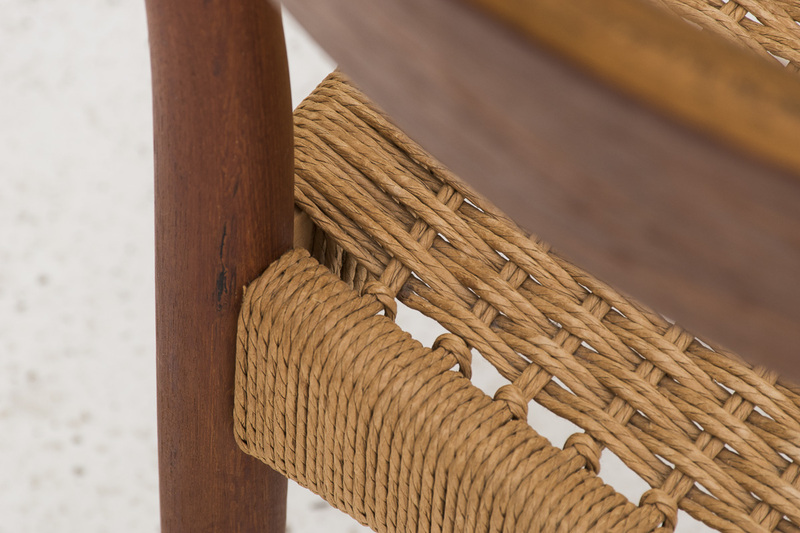 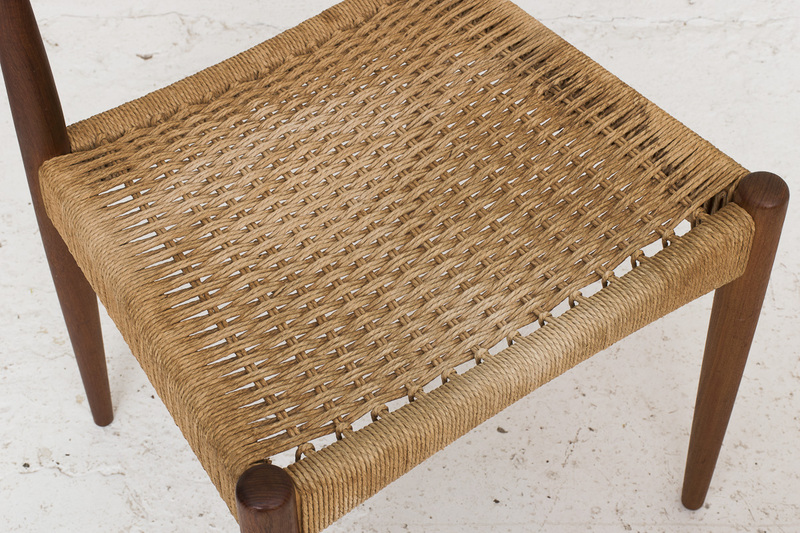 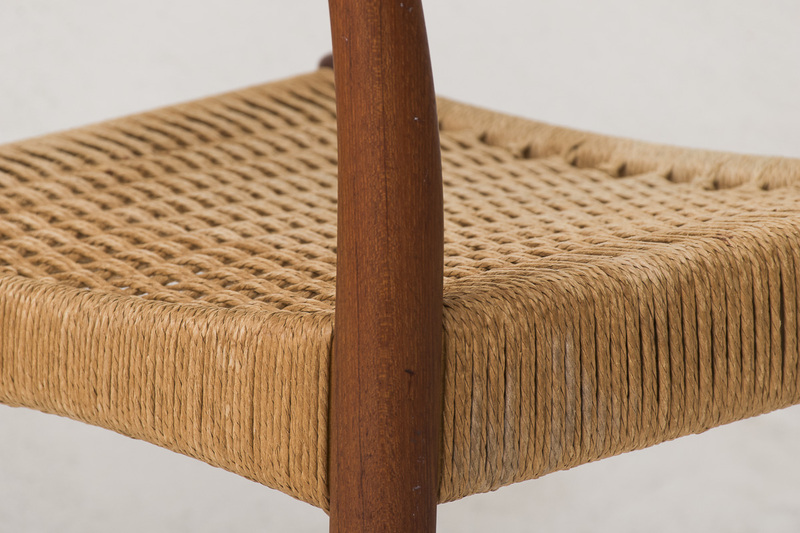 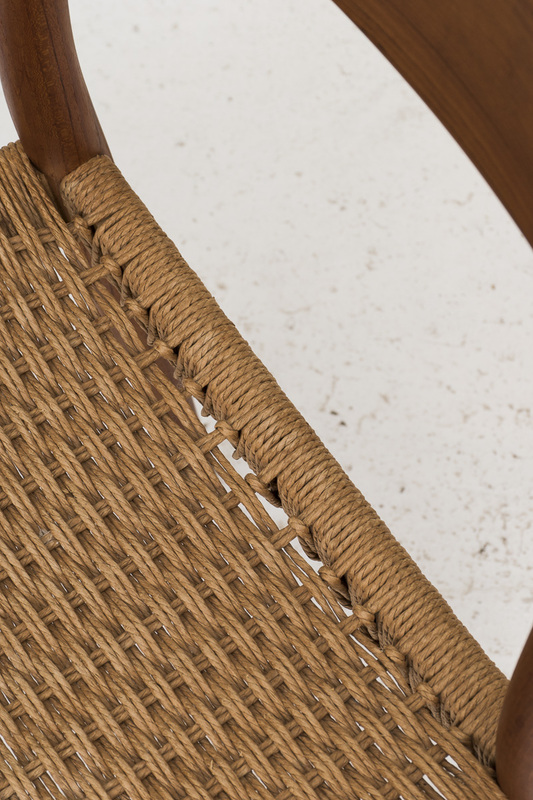 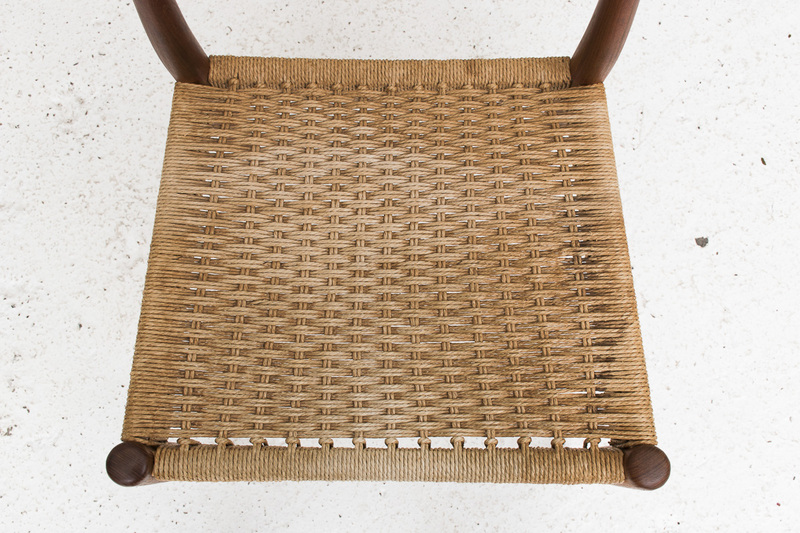 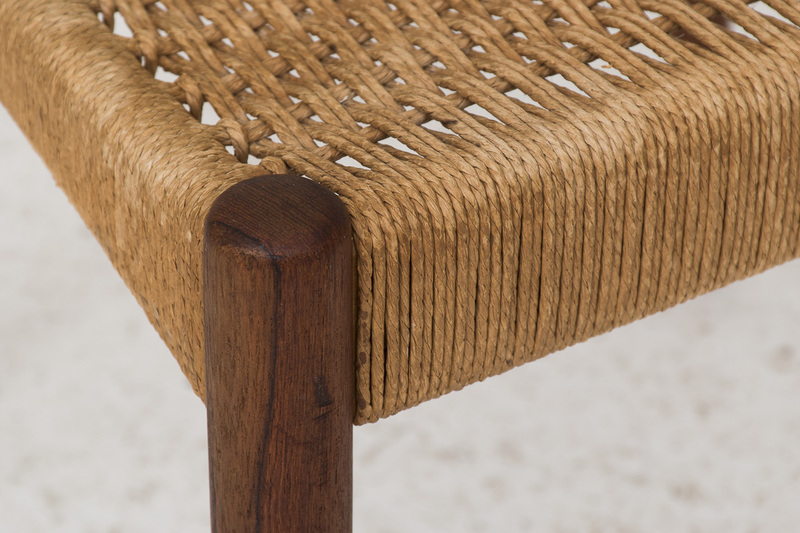 Solid teak frame with original paper cord seating. 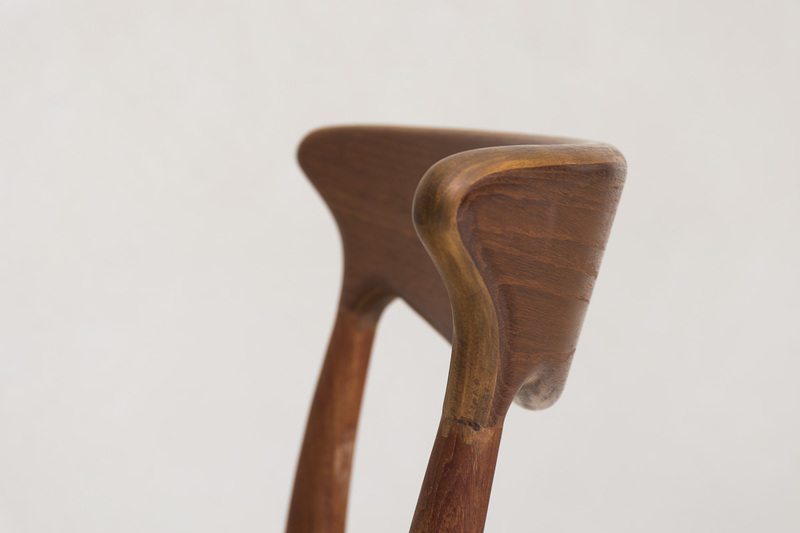 The seating has some patina and signs of use but it’s still in good condition.